55044-BL-PK is rated 1.0 out of 5 by 1. Rated 1 out of 5 by Roland from Great idea but poor life I had this adjustable wall bar installed about two months ago, and the slider was too loose at the beginning. It would barely hold Its position and has gotten worse. Delta Faucet sent a free replacement wall bar, which was not all that great and is expected to soon get worse. 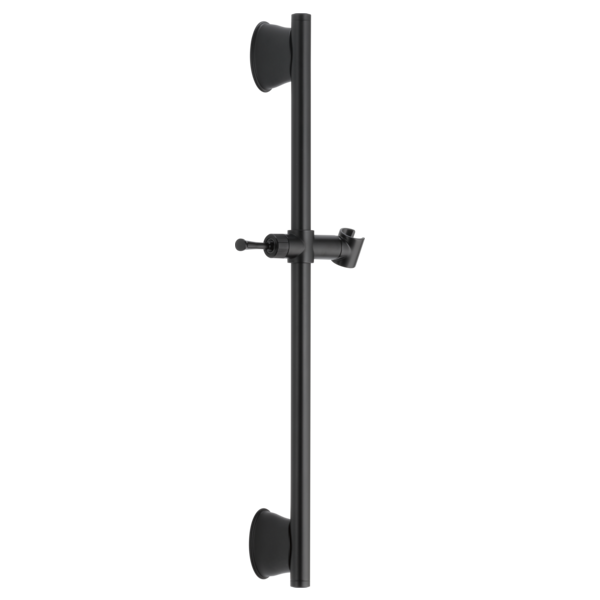 A re-designed slider should be offered as a replacement and should be included on all new adjustable wall bars of this type. The pivot slide mechanism came apart when I was using it (it was loose) and all the parts inside it fell out (and one down the drain). Can I buy a replacement pivot slide mechanism? How far forward/down does the bracket on the bar tilt forward to control the water angle?